746th Test Squadron commander Lt. Col. Amy McCain dedicates an exhibit with Director Randall Hayes of the New Mexico Museum of Space History in Alamogordo. 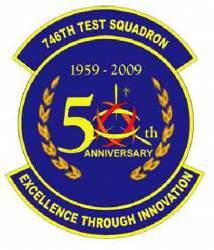 A tradition of testing of navigation systems and missile components began for the 746th Test Squadron (746 TS) in 1959 and continued as it reached its golden anniversary in May 2009. Fifty years ago, the Air Force recognized a need for a guidance and navigation test and evaluation facility. With nearby assets like White Sands Missile Range and the Holloman High Speed Test Track already in place, the Air Force selected Holloman Air Force Base, New Mexico, to take on this mission, and the Central Inertial Guidance Test Facility (CIGTF) was born. After the advent of the Global Positioning System (GPS), the organization became the Central Inertial and GPS Test Facility and finally, the 746th Test Squadron in 1994. "We are part of an organization that has a rich history in the test community," said Lt Col Amy McCain, 746 TS commander. "The folks here love the area, the small town atmosphere, and are world renowned for their expertise." Initially, the sole purpose of CIGTF was to test U.S. missiles and spacecraft guidance systems. 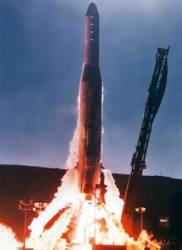 It supported notable developmental test missions, including the Apollo program and several intercontinental ballistic missile (ICBM) systems. Today, the squadron has expanded its focus to testing and evaluating the most advanced GPS and inertial navigation systems in the world to support the warfighter’s mission. Officially founded in May 1959, the squadron celebrated its 50th Anniversary with a Capstone Weekend of Events at Holloman AFB on May 15–17. Featuring three days of special events, presentations, social outings, and facility tours, the weekend concluded months of planning and historical research. To make the weekend a reality, a team of 746 TS personnel completed over one year of planning. All former commanders and technical directors were invited to the events, along with members of the local community, base leaders, former employees, and current staff and family members. Event planning also included a full year of historical research by squadron personnel. To prepare for the anniversary, this team researched and cataloged 85 special historical items of interest found within the squadron complex’s numerous display cases, warehouses, and partnering organizations. Throughout the year, they formally presented one history item at the commander’s weekly staff meetings, as well as organized luncheons that featured guest speakers who gave historical presentations about the unique test and evaluation presence the organization has maintained for half a century. This information supplied detailed updates to the squadron’s evolving history paper, meticulously documenting the organization’s past to preserve and carry on their 50 year legacy. The paper revealed the CIGTF story to be long and varied — complete with numerous name changes, subtle mission alterations, and proposed closures — but consistently with measurable contributions toward numerous defense and space efforts, ranging from testing precision ICBM boost phase guidance systems to evaluating performance of the Hubble Space Telescopes gyros. However, spending the anniversary weekend with previous CIGTF employees exposed even more new history facts, previously unknown by current squadron members. One of the most interesting disclosures was that a time capsule had been put in place during the installation of the 260-inch centrifuge in the early 1960s. This bit of trivia was divulged by former chief engineer Grady Nicholson, who recalls that the capsule contained information about the centrifuge itself, along with a projection of how it would be used and which programs it would support. It would certainly be interesting to see how accurate that forecast was, after engaging this exclusive resource in more than 20 years of precision ICBM guidance programs. The anniversary weekend included a tour of the CIGTF complex, which featured the 120-inch precision centrifuge, one of the squadron’s most unique test items. Although the 746 TS has three centrifuges, the 120-inch centrifuge, with its counter-rotating head and laser-interferometric measurement of arm stretch, is the most used. As part of the celebration, a crowd of visitors watched 746 TS engineer Jason Enslen demonstrate the centrifuge’s capability to its full capacity—50 g’s—while carrying a special payload: 60 CIGTF 50th Anniversary commemorative coins, which guests later took home as a special memento of the 50th Anniversary and the historic centrifuge spin. Following the centrifuge spin, visitors toured two of CIGTF’s sister squadrons within the 46th Test Group: the 846th Test Squadron, home of the Holloman High Speed Test Track, and the 586th Flight Test Squadron. Guests also toured the Alamogordo Primate Facility, a neighboring complex to CIGTF and past partner supporting the early space program, providing NASA’s original “space chimps” and now hosting more than 100 “retired government primates” in a state-of-the-art facility. On May 17, the squadron dedicated a New Mexico Museum of Space History exhibit filled with historical items researched in the year leading up to the Capstone Weekend. A cigarette pack GPS jammer, precision theodolite, ring laser gyroscope from the 1980s, Manpack GPS receiver, and a four-gimbaled guidance system from 1969 were among the display items loaned to the museum for the event. These items are being incorporated into a permanent exhibit at the museum to document the 746 TS’s contribution toward precision navigation. “I enjoyed the reunion very much. Meeting old friends and trading remembrances of the old days was a lot of fun. I especially appreciated the efforts of the CIGTF men and women to preserve our history of CIGTF at the Space Museum," former squadron commander, Col (ret) Gilbert Kelley, said. Reflecting on the weekend, Lt. Col. McCain elaborated on the true assets of the 746 TS. "CIGTF has always worked with the latest, cutting-edge technology," she said. "Yet, the people, past and present, are the true capability impacting the defense of our nation through test and evaluation. I look forward to seeing the navigation applications supported in the next 50 years. 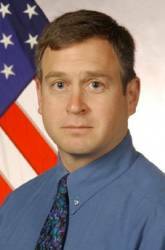 I’m certain that CIGTF’s leadership and expertise will be crucial in development of future for guidance and navigation systems."